Taking the portrait of a person whom you’ve just met moments before is one of the most exciting—and in the beginning, unnerving—experiences you can have as a photographer. It’s also one of the most rewarding. The 100 Strangers Project sounded simple enough: gather 100 portraits of complete strangers after getting their consent. For my mostly introverted self, this meant more precisely: interact with 100 human beings I would otherwise never interact with…AND take their photograph. When the friends of the Association took me to the dressing room he was meditating. I had to wait about one hour before having the chance to meet him. Afrikan Simba Tukur Anbessa is a real ambassador of Reggae/Dub music and I was honoured that my camera could capture those unique moments before one of his awaited Live. In Puglia, in the South East of Italy, the Reggae and Dub culture is a true passion and you can often find loads of gigs with Jamaican reggae singers and sound systems. 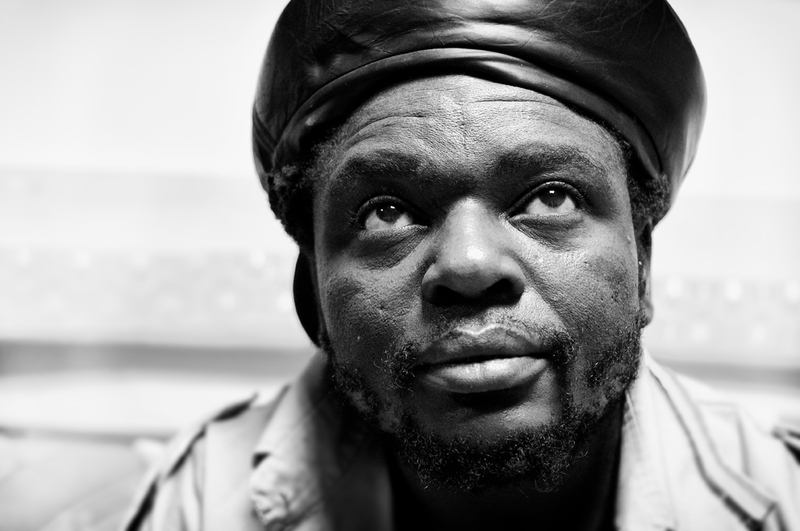 Afrikan Simba is the founder of “Voice of Africa Radio”, a reggae pirate broadcast. In UK before of this broadcast, few people, David Rodigan, Tony Williams e John Peel, and some African artists, Fela Kuti, were supporting reggae music. “Voice of Africa” was the first radio for which African people have felt represented for real. After his involvement with the broadcast, where at some points he was in charge in the programming, he started to make music. 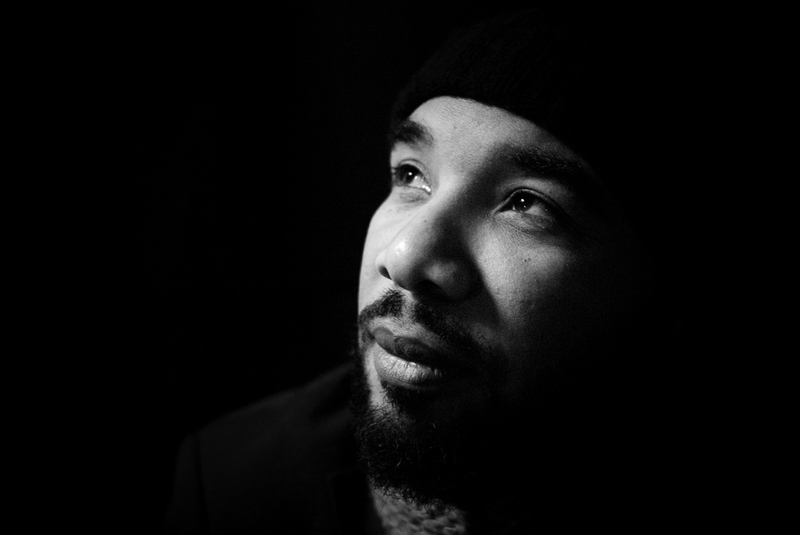 His music is a very good music, and music continue to be the true pick of Afrikan Simba. Afrikan Symba told me before starting his performance: “I’m going to communicate messages, not just words and sounds. If you listen to them carefully, you’ll experience full and different feelings”. The leader of the Black avant garde in Britain! Poet, novelist and lecturer, Anthony Joseph, the singer of the Spam Band, was born in Trinidad and has lived in the UK since 1989. Anthony and his band employ a sinuous and lively blend of styles ranging from Afro-Rock, Ethio-Jazz, Afrobeat and Free-Punk. Three brilliant albums with the Spam Band (‘Leggo de Lion’ 2007, ‘Bird Head Son’ 2009, ‘Rubber Orchestras’ 2011) brought him/them international fame and notoriety, thanks also to their striking performances. I met him backstage after his performance at Angelo Mai in Rome, that was the second leg of their Italian tour, organized by Afrodisia. The light setting was not so good and it was suggestive to see him relishing his umpteenth whiskey in the semidarkness. The only source of light (apart from the small chandelier) was a table lamp which the artists use to mirror and apply makeup before a live show.